In Hindu mythology, Hamsa is depicted as the vahana or vehicle that transports Goddess Saraswati. This beautiful bird, described as a swan, is a symbol of purity and grace. It is also a popular motif in Indian art, literature and on textiles. 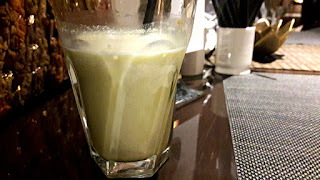 I was met by a friend who took me up to the Private Dining Room on the 2nd floor. Silver peacocks on silver doors open into the "Silver Garden" whose walls are lined with 16 silver panels. 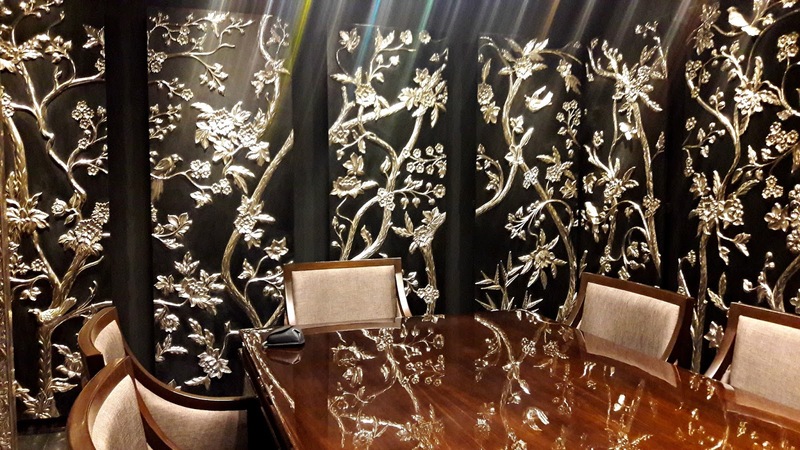 The panels form a pattern of flowing plants, flowers and birds. In the centre is a large table and there are chairs around it. 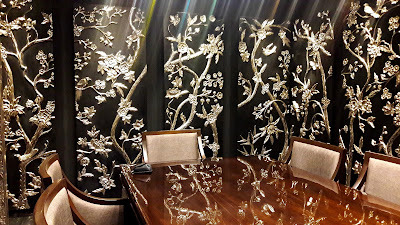 The reflection of the silver panels falls on the table, casting a strange brightness around the room. Truly a sight to behold. 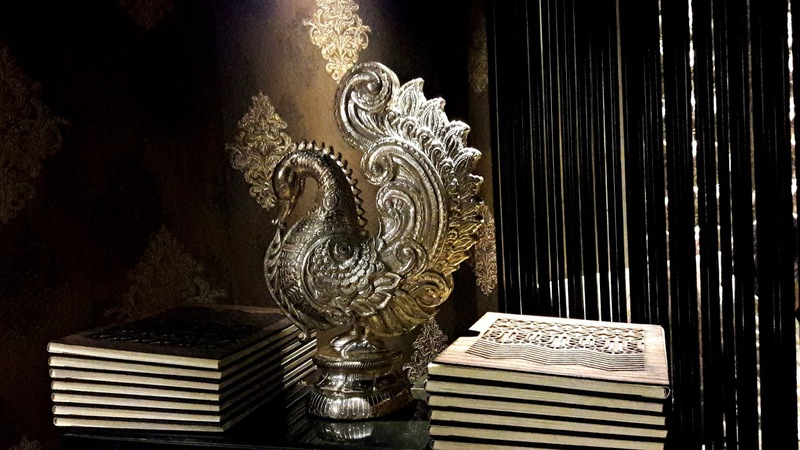 We come back to the restaurant, admiring the 108 bronze bells, the intricately carved jaalis on sandstone, the pattern inspired by Mughul architecture and a zari and bead glycine tree that spreads its branches across the wall. Nithin Kalkiraju, the owner tells me that it took 3 years to get Hamsa ready. 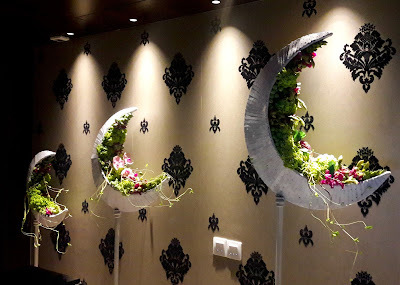 And no wonder - the dim lighting, textures on the walls and the artfully laid out tables are opulent yet classy. Every element in the room is symbolic in one way or the other. 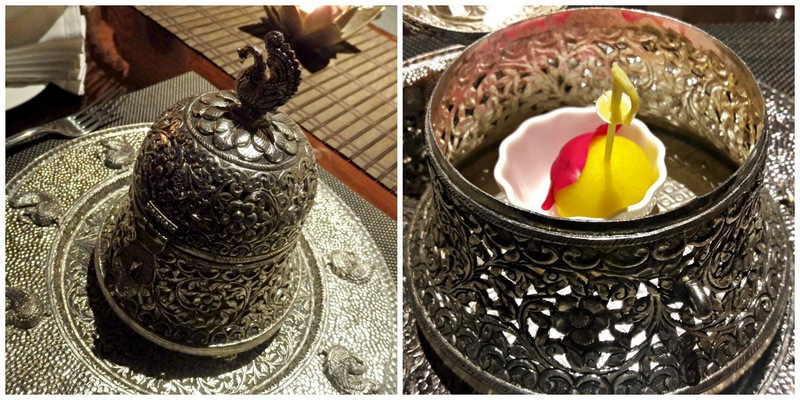 Images of Hamsa are everywhere - from the silver artifact that sits at the entrance to the restaurant to the tiny one that is perched on top of the bell-shaped filigree sweet box with a hinged lid. There's a box at each of the 48 place settings. Inside is a saffron rasagolla and a single petal of a red rose rests against the rounded contour of the sweet. We were served panchamritham as a welcome drink. Made of 5 ingredients, including banana, I declined mine and so was served a delicious thandai instead. The menu for the blogger's meet started with 4 appetisers. 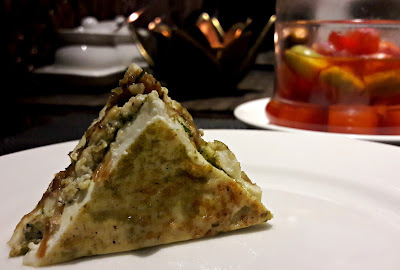 My favourites were paneer saunfiya - cottage cheese triangles that held a fennel-based masala, delicious makkai muthia chaat and a crisp pastry covered gooey cheese-filled kurkuri. Kache kele aur anar ki tikki - (green banana and pomegranate tikki) was quite pasty and it's a texture that could grow on you. 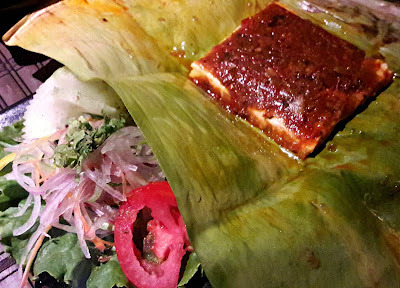 Leaf enclosed paneer was a slab of paneer coated with an onion and tomato masala and then baked. All the paneer is made in-house. 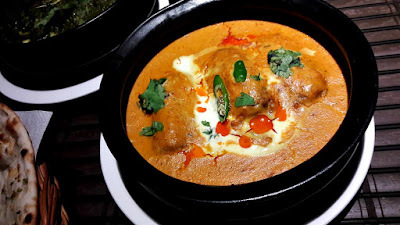 For mains, we had Bhagirathi meher paneer, creamy paneer in a creamy gravy. This one was so rich and smooth that it was difficult to differentiate where the gravy ended and the paneer began. Delhiwal hara turai was a hollowed length of gourd stuffed with spices and cooked in a coriander gravy, I would have liked the gourd to have been cooked a little more. 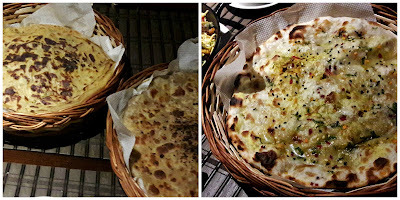 Chettinad-style roast baby potatoes simply stole the show but the one I loved the most was kamal kakdi kofteh, one of Hamsa's signature dishes. The koftehs were made with lotus stems, chopped nuts provided texture. 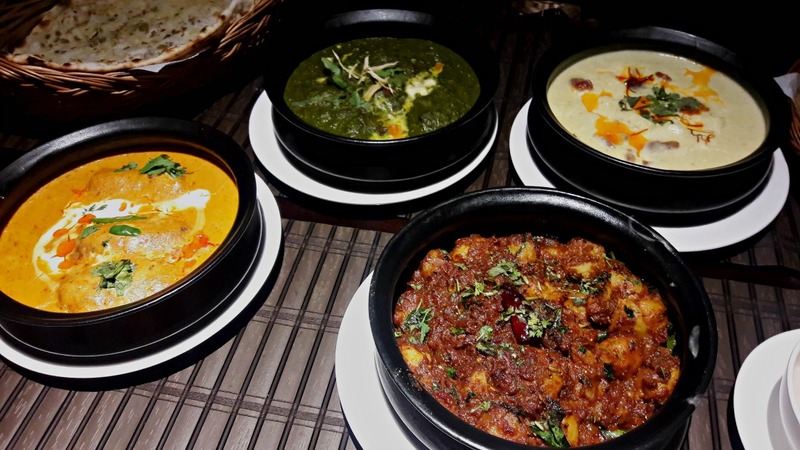 The gravy was reminiscent of a well made paneer butter masala, and is best had with the selection of deliciously soft Indian breads. Anar aur hari meeri ka chawal - pomegranate and green peppercorn rice was a visual delight not just for the eyes but also for the palate. 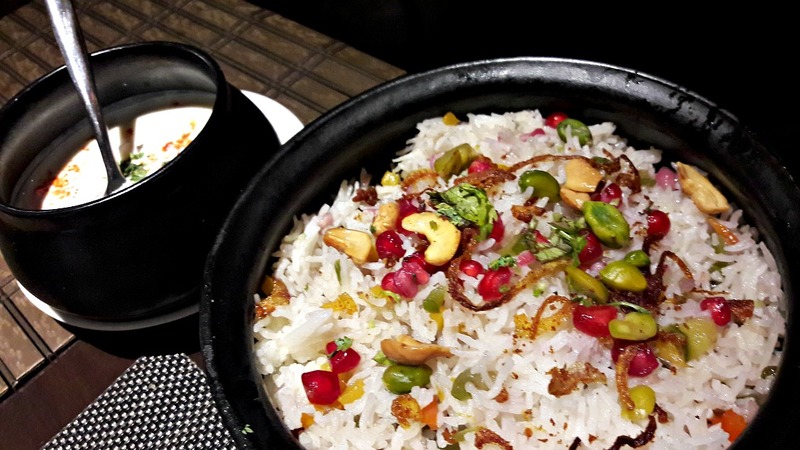 The fragrant rice was topped with golden fried shallots, pomegranate arils, cashewnuts and pistachios and it tasted fabulous, though the rice was a little overcooked. Tiny green peppercorns provided heat which the pomegranate immediately cooled down. It was served with a simple raita. 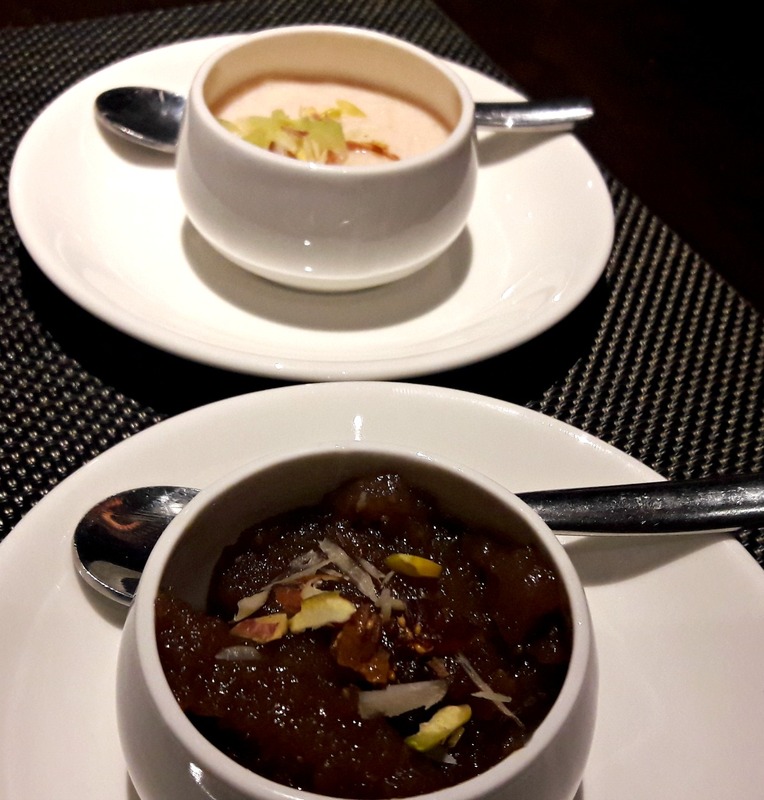 Anjeer aur adrak halwa is a dark halwa full of the crunch of fig seeds and warmth from ginger which made it an instant favourite. 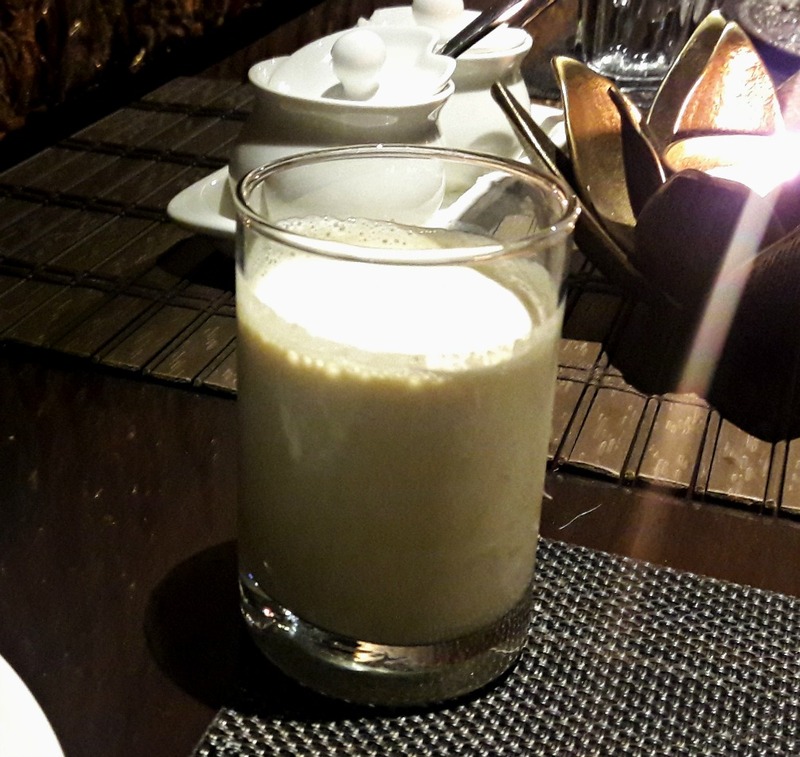 The second dessert was pretty pink amrud phirni, a phirni made of guava and topped with slivers of almonds. Guava is not a fruit I particularly like in a dessert; the phirni itself was creamy but the flavour of the fruit was a tad overpowering. 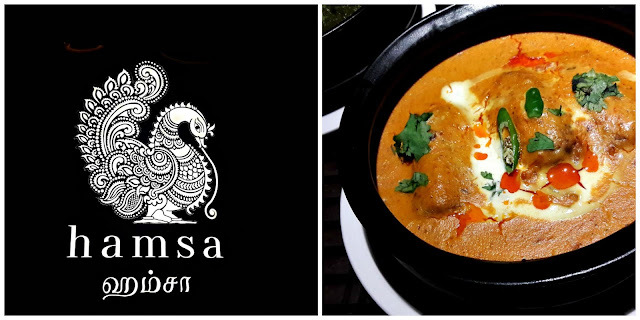 The menu at Hamsa is predominantly North Indian - from Varanasi, Lucknow, Delhi and Kolkata but there are some South Indian favourites as well. 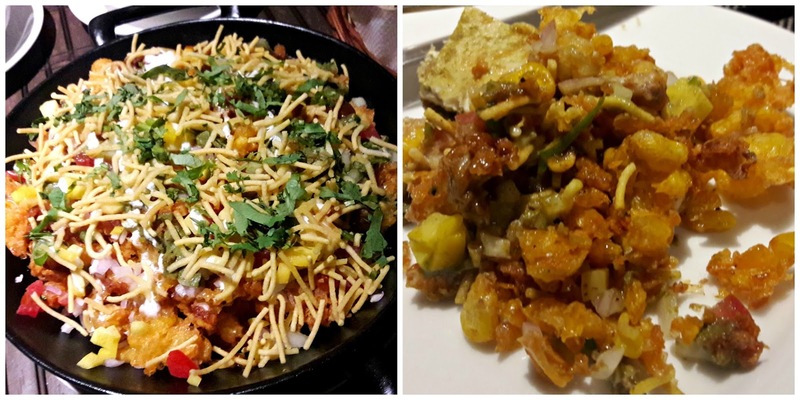 Vegetarian and fine dining? Hamsa seems to have aced it. A meal for 2 would cost about 1800/++.